Forget to thaw chicken for dinner, this Instant Pot Frozen Chicken Breast Recipes can help. 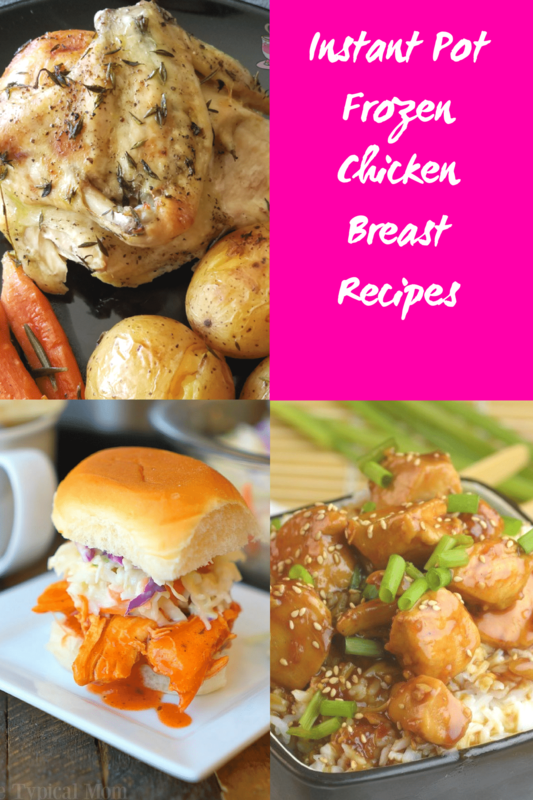 That is okay, I bet you didn’t know you could cook frozen chicken breast in the instant pot, feast your eyes on these fantastic Instant Pot Frozen Chicken Breast Recipes below. The Instant Pot is hands down one of the most popular kitchen gadgets right now. It will take that frozen chicken and cook it fast leaving you with tender and moist chicken to serve up to your family and friends. No one has to know you forgot to thaw chicken, or you might find you never thaw your chicken again because the Instant Pot has your back! Chicken is something we have quite regularly in our home. I love the buy one package get one free sale, and when they come up, I take full advantage. 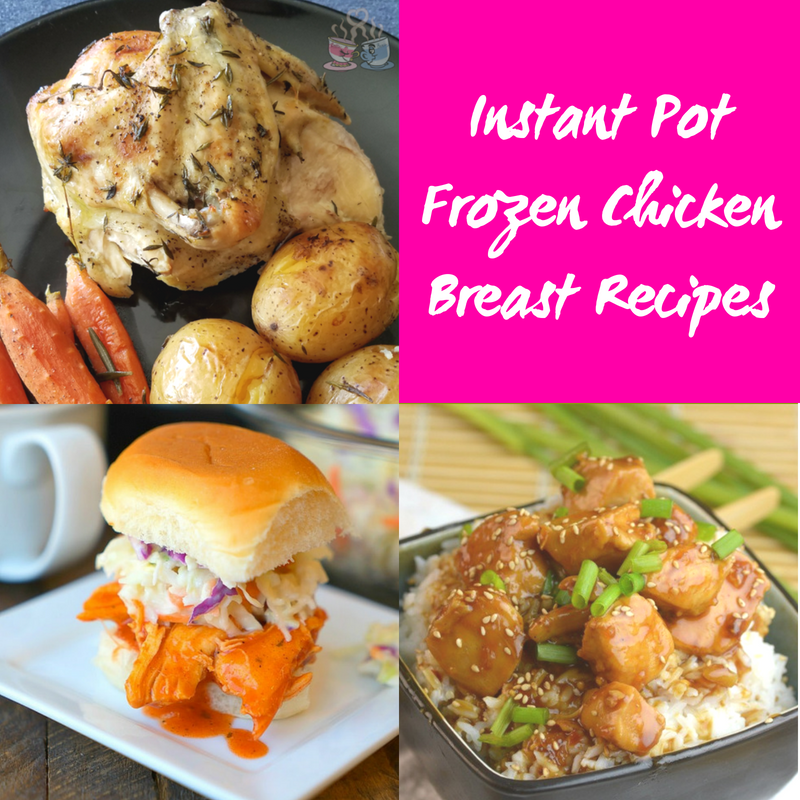 I have so many amazing Instant Pot frozen chicken recipes that I am always purchasing chicken to keep my freezer stocked. The beauty of the Instant Pot is when you make your selections and begin cooking the Instant Pot pressures up fast. It makes it safe to cook frozen chicken in the Instant Pot whereas using frozen chicken in your slow cooker has such a big debate around it. The frozen chicken comes out cooked, tender, and perfect for each recipe. Just be prepared that it does add a little cook time to your dish, anywhere from 10-20 minutes. But, for the convenience of not thawing chicken, I still count it as a win! The recipes below will instruct you on how to cook frozen chicken breast in the instant pot. Low Carb Instant Pot Chicken Chili| This chili is low carb and contains no beans. 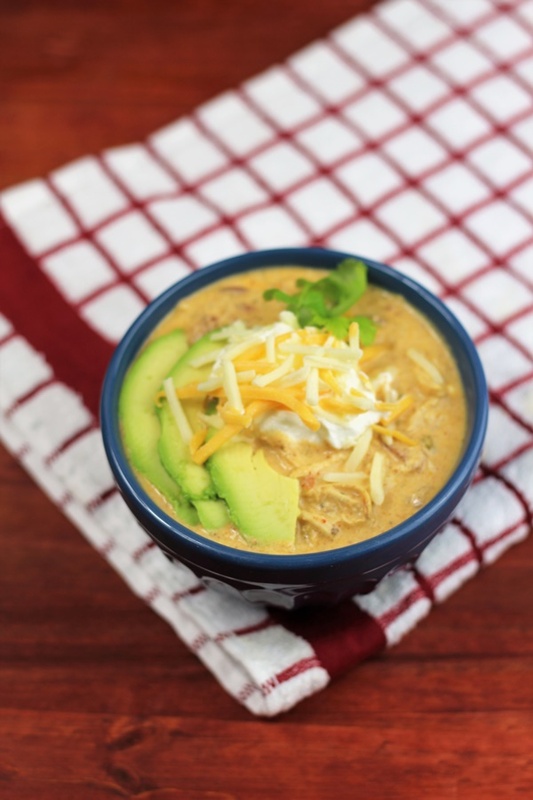 This chicken chili has a creamy base that is packed full of rich flavors. Plus it feels like a cheat on a low carb diet because it is so yummy, you would think it was packed full of carbs. Chicken Tacos| Taco Tuesday just got a little bit easier with this quick and delicious chicken taco recipe. You can make these tacos that are packed full of that tex-mex flavor you desire in under 30 minutes. Hello tasty dinner, goodbye stress. 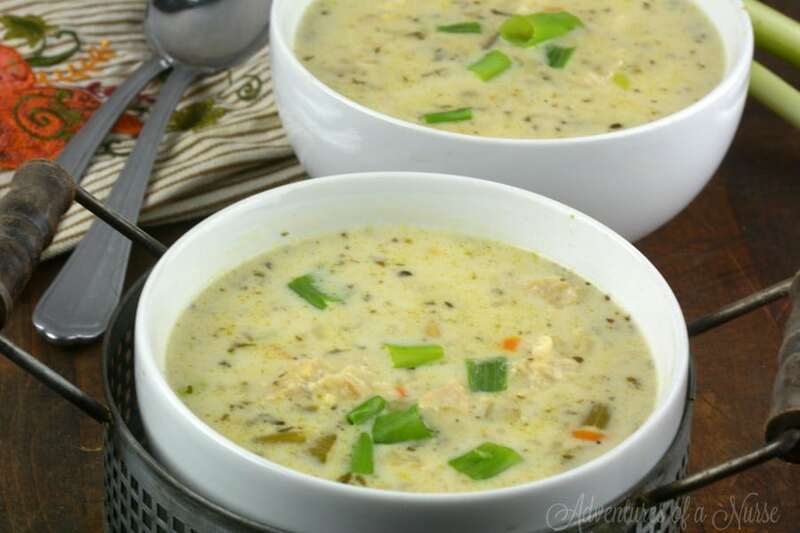 Panera’s Copy Cat Chicken Wild Rice Soup| You never have to leave home again for that delectable taste of the Panera chicken and wild rice soup. Make it at home in no time, and pay a fraction of the price, and score an abundance of leftovers! Roasted Chicken Breast with Vegetables| You get excellently cooked vegetables along with perfectly seasoned chicken breasts. This is a great dish to make for a Sunday dinner. Serve with some homemade dinner rolls or a side salad for an easy but superb meal. 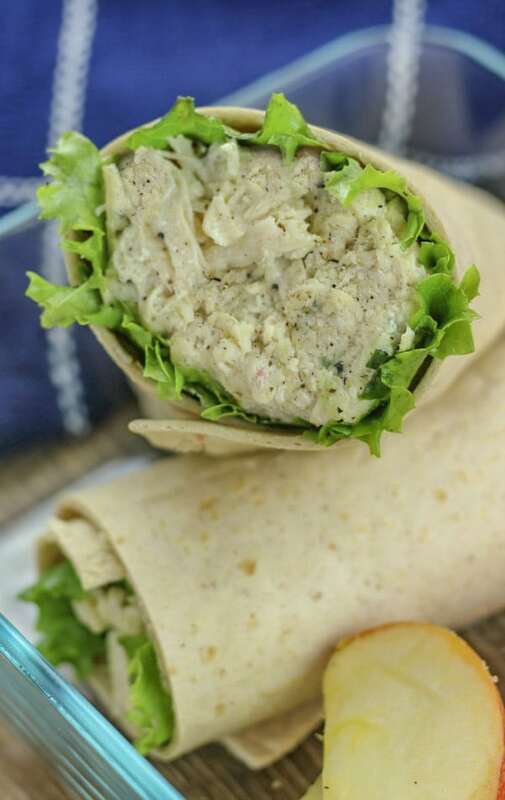 Chicken Caesar Wraps| These wraps are light, and that is perfect for this warmer weather that is coming our way. Whip these up for a light lunch, picnic in the park, or even for an evening dinner. These are delicious any time of day. Spicy Chicken Sliders| Looking to add a little heat to your dinner? Check out these spicy chicken sliders; they are smaller portioned sandwiches that pack a little punch with them. Perfect for entertaining guests. 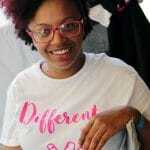 Instant Pot Crack Chicken| This is called crack chicken because one bite leaves you addicted. Creamy ranch base, juicy chicken, bacon, and more make this dish famous for flavor. 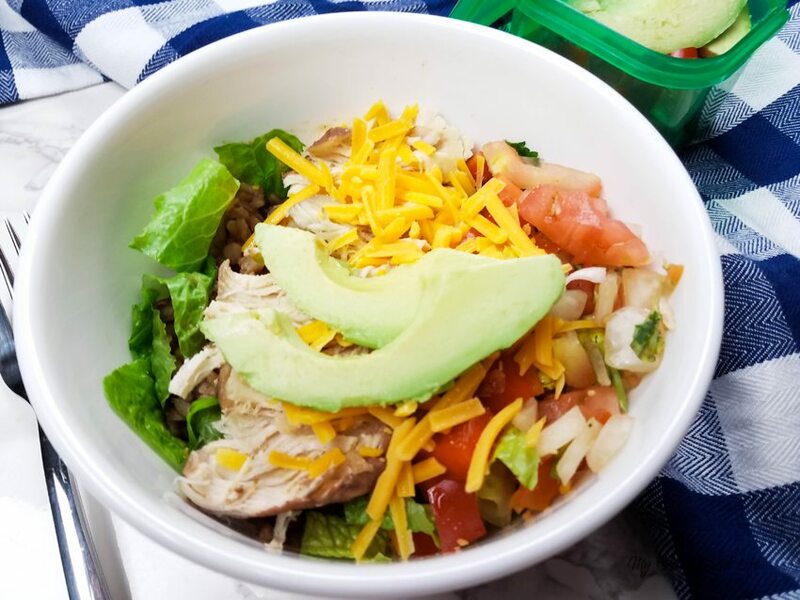 21-Day Fix Chicken Burrito Bowls| A low carb dinner option that is 21-Day Fix approved. Minimal prep work and you can top with your favorite toppings like fresh avocado, shredded cheese, tomatoes, and more. Chicken Noodle Soup| This is probably the most comforting soup on the planet. Let yourself dive into this hearty bowl of homemade chicken and noodle soup. Nice size pieces of chicken, tender noodles, and bits of vegetables throughout. Honey BBQ Chicken Wings| These wings will be the perfect treat to get your fingers dirty with while you watch your favorite sports game. They are easy to make, rich in flavor, and can be created with frozen chicken wings. General Tso’s Chicken| This taste even better than takeout, and it is a breeze to make. You have that sticky sauce and serve with rice for a complete cuisine. What is your favorite frozen chicken Instant Pot dish you make?